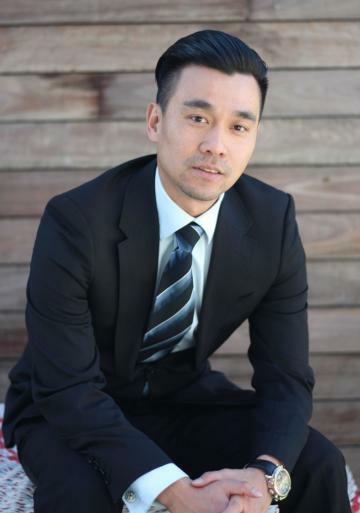 Canaan Lim is a partner of the firm and a licensed business broker. He has been working in the business broking industry for over 8 years selling close to 100 businesses in different industries. He started his first business at the age of 25 and during the time he has experienced the ins and outs of a business just like any other owner. After he has sold the business, he is passionate about helping business owners in getting the top price for their hard-worked business. In 2010, He enter into the business broking career. Since then, he has sold multiple businesses in diverse industries such as retail, hospitality, manufacturing, import and export, all ranging from $100K – $3M. Coming from a Chinese background and grow up in Australia, Canaan is fluent in English, Mandarin and Cantonese. He works closely with Chinese business buyers and sellers both locally and internationally as well as fellow Australian looking for a good business opportunity. Canaan also handles all the Chinese marketing and media for UBBA. Canaan believe in providing excellent service, accountability and he will go the extra mile to make sure a business transaction goes through smoothly and successfully. Beautiful café located on the main road with lots of trucks and car traffic. The area is surrounded by retail shops and residential but no direct competition. Potential to open night trade as the area is jam-packed with diners. Owner build it from scratch 4 years ago spending over $200K with top quality equipment and fitout. Bright and spacious internally with 32 seatings and 12 outdoor seatings. Spacious modern kitchen with a cool room and a walk-in freezer. All equipment is well-maintained to their top condition with constant 5 star health rating for the past 4 years. One of the most popular cafe in the area. Owner took over the shop next door and expanded the cafe a year ago to cater for the customers. The turnover of the cafe has gone up even further since then. Located in the centre of the area and surrounded by both residential and commercial customers. The cafe is absolutely packed for the weekend with the weekend market just outisde of the cafe. This privately owned dry cleaning business has experience a long term success with establishing in the same store for 25 years. The current owner has owned this business for 18 years and enjoy a good income. Only at retirement is he looking at selling the business. It is an easy to run business which needs only minimal of 3 people for it. The owner has two FT stuff who have been with him for over 7 years that knows the ins and outs of the business. For more information please contact. Rare opportunity to purchase an extremely busy and well-established pet care business. Services range from dog washing & grooming to training, day care & dog walking. The business is continually growing strong with sales and net profit increasing annually since 2007! SOLD by Canaan Lim. More Lobby Cafe Wanted. This little lobby café is situated in the CBD servicing medical professionals on top and around the neighbourhood. The rent is incredibly cheap for a city café. It is mainly for takeaways but has an outside seating where customers can sit and relax under the sun. IM available upon request.